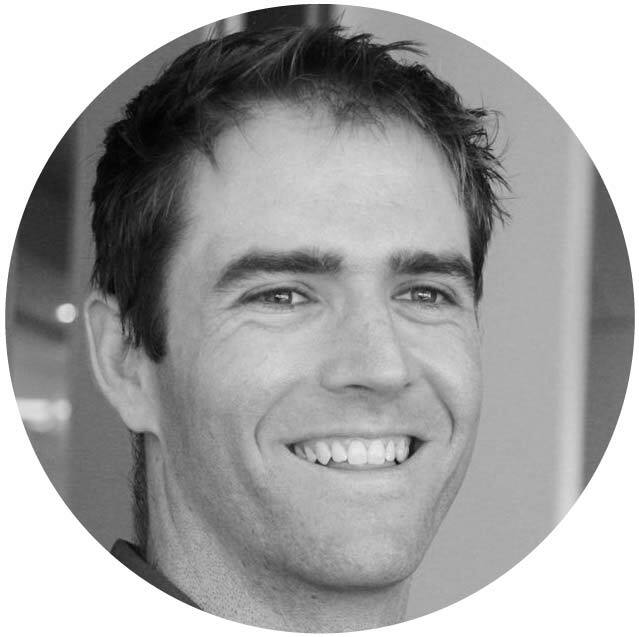 I’m a former winemaker based in Sydney and I have a passion for wine tasting and appreciation. I’m glad you’re here because it means we share an interest in learning more about the wonderful (and sometimes confusing) world of wine. I know what it is like to be overwhelmed by choice and unsure what to buy when it comes to wine. When I started out, I knew a few wines that I liked but didn’t know why, or how to find other similar wines, or really why they tasted the way they did. Or how to find the best value for money. Many years ago while doing surgical research I worked in an operating theatre. The surgeons would send me out to pick up some ‘nice red’ on a special occasion (like the end of surgery for the day!) - I had NO IDEA what to buy or if it would match their expectations. I was buying wines based on the label - what it looked like, how many medals it had, etc, etc. Most wines just tasted like ‘wine’ to me, even though I was sure there was a lot more to it that was going over my head. Luckily the surgeons seemed happy enough with my picks most of the time, but that didn’t make me any the wiser. It was at that point that I dropped the medical research and embarked on wine research! To be honest, most of the surgeons and doctors I was working with seemed more interested in wine than medicine, so I figured I would take the short-cut to the interesting stuff. I went off and became a qualified winemaker, worked in wineries in the Hunter Valley, Eden Valley, the US and Italy. I worked in bottle shops, hosted wine appreciation nights for work and friends, and have been choosing wines on behalf of my co-workers for over 15 years. I know how hard it can be to choose wine just for yourself. However, when you are buying on behalf of your co-workers or boss, it can become downright daunting. Especially if you need to do it in a hurry. I’ve been honing my skills in choosing, sharing and discussing wine for almost 20 years now and I want to share what I have learnt with you. enjoy wine on a whole new level. 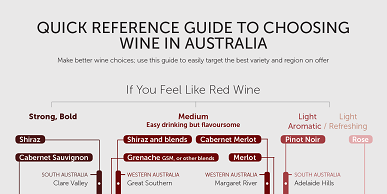 To get you started I’ve developed a Quick Reference Guide to choosing wine in Australia. It is an easy way to start narrowing down your choice of wine, whether you are shopping online or at a bottle shop or restaurant. Here’s to your wine wisdom!